You need to make your PPI claim before the impending deadline. We take you through how to claim back PPI for free. 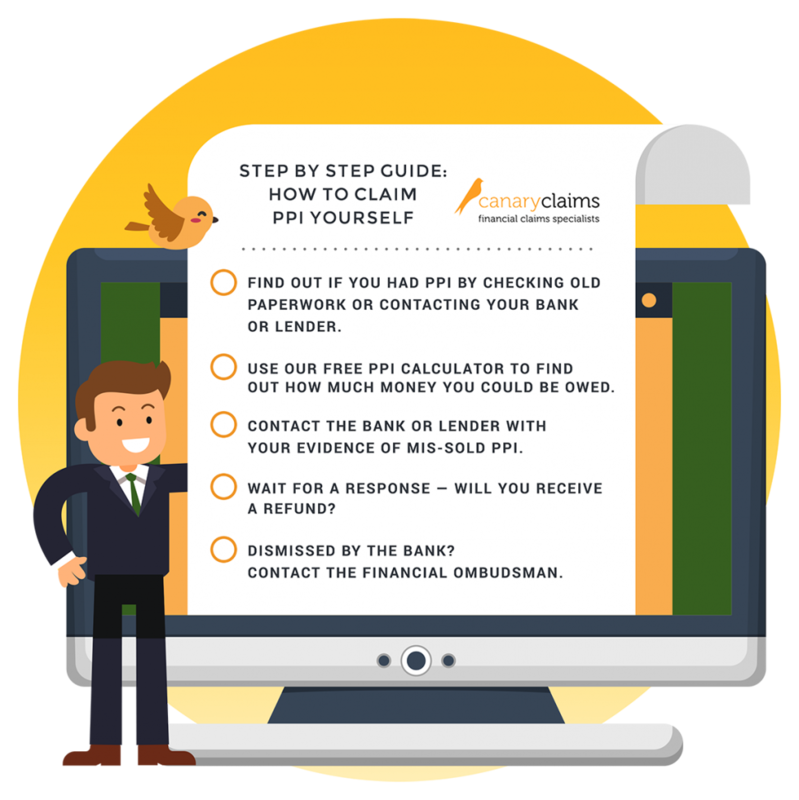 At Canary Claims, we’ve created this comprehensive guide on how to claim PPI. We explain how to claim back PPI for free and explain why using a claims management company is a desirable option for many people. 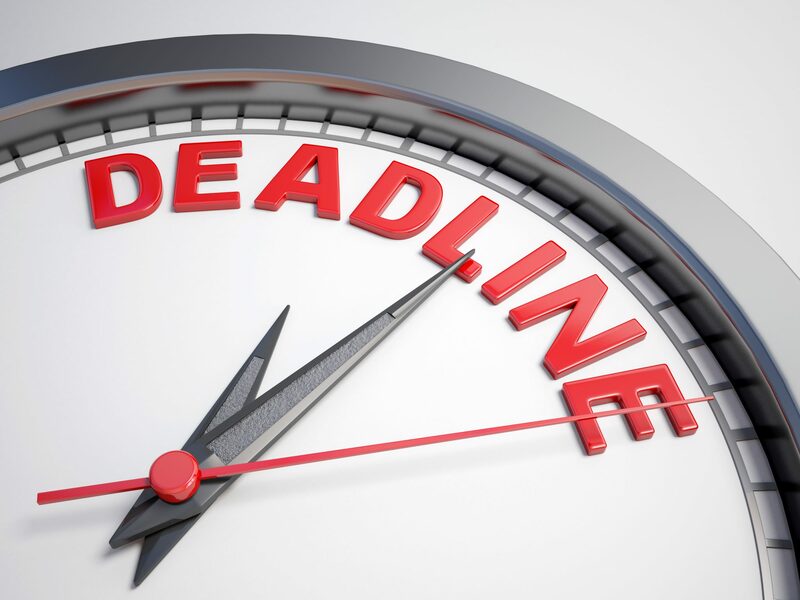 With the PPI deadline set for 29th August 2019, starting a PPI claim as soon as possible gets more important with each passing day. Understandably, people have a lot of questions about PPI claims and how to make a claim that gives them the best possible chance of success. What Products Was PPI Sold With? Payment Protection Insurance, or PPI, was commonly sold alongside mortgages, loans, and credit cards. However, store cards and overdrafts were also identified as having PPI mis-sold alongside them. The majority of PPI policies were mis-sold in the 1990s and early 2000s, meaning that if you had any of these financial products, it’s likely that you were mis-sold PPI. It’s possible to claim PPI yourself for free. However, it can be a time-consuming process so we would recommend using a reputable PPI claims company to take the hassle out of your claim. 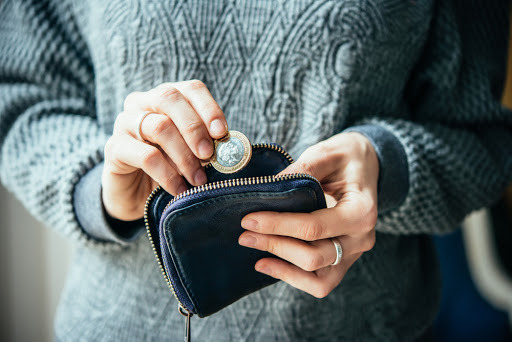 If you have a particularly old PPI claim or claims to multiple lenders, or if the bank has changed names or been bought out, this can cause issues when it comes to making a claim. Take the weight off of your shoulders by working with Canary Claims, a top PPI claims company. That being said, we’re eager to help you make a claim however you wish. With 64 million PPI policies sold in the UK, it’s incredibly likely that you did have PPI mis-sold to you. In this post, we tell you how you can claim PPI for free. Millions of UK consumers have already made successful claims and you could be next! Follow these steps to make a successful PPI claim at no cost to you. 29th August 2019 is the official date by which all PPI claims must be submitted to your bank. This date has been set by the Financial Conduct Authority (FCA) and aims to put an end to the PPI scandal and ensure that everyone who can claim does so. Whether you are making a PPI claim yourself or using a claims company, the sooner you start this process, the quicker you will receive your money. If you find any of these on your paperwork, you had PPI, meaning you are eligible to make a claim. 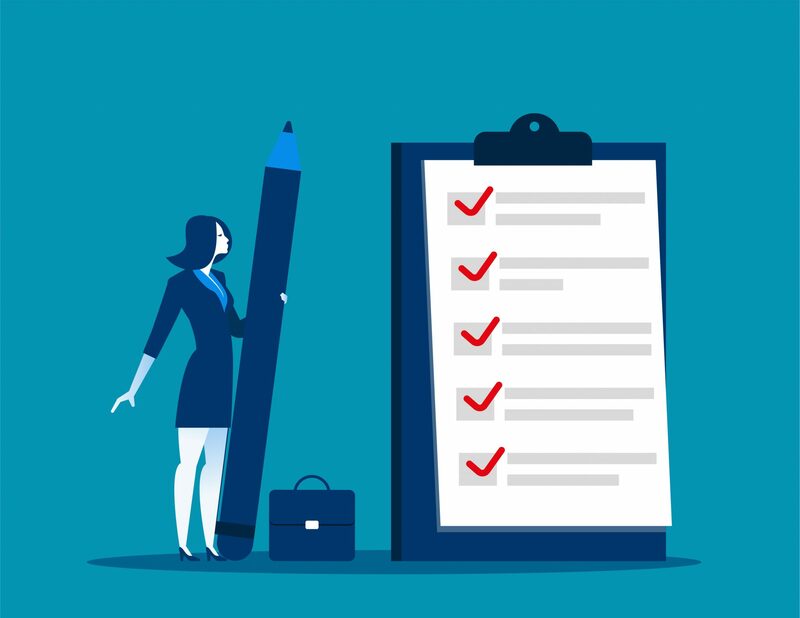 You should start your claim as soon as possible — skip to step number three to find out what you need to do with your evidence and how much you could be entitled to. If you cannot find your paperwork or even remember the financial products that you had, this isn’t the end of your PPI claim. The process will take longer, but spending some time to find out if you had PPI is worthwhile given the large payout you could receive. There are a few ways to access this information. A credit check will allow you to identify any previous financial products you’ve bought, but it’s important to note that this will only give you information from the past six years. Websites such as Experian can be used to check this information. If the credit check highlights any accounts, you can then contact the bank to find out if PPI was sold. Providing vital information such as your name, date of birth, address and the year that you had the product, will allow the bank or lender to access your information quickly. The more information you can provide, the easier it will be to find out if you can make a claim. Individuals have a right to access any personal information a company has about them. As such, your bank is legally obligated to inform you about any previous accounts, including if they had PPI. Alternatively, ask a claims management company to find out on your behalf if PPI was mis-sold. This process can take a variable amount of time and can make the PPI claims process longer. However, it’s worth checking all previous accounts for evidence of mis-sold PPI. Many bank employees sold the insurance by telling customers they couldn’t get their loan or credit card without it. In some cases, the PPI was automatically added to a purchase without the consumer’s knowledge or consent. PPI couldn’t be used if you were self-employed or had a pre-existing medical condition, making it useless for thousands of people who were told they needed it. This is also not true. Having PPI had no impact on the likelihood of being accepted for credit or improving your credit score. The Plevin rule constitutes that if over 50% of your PPI sale was a commission, you are able to make a PPI claim. See below for details about making a Plevin claim. If you have accurate information, you can use our free PPI calculator to find out how much you could be owed by your bank or lender. Using an advanced algorithm, we can estimate how much you could receive from your bank for a successful claim. Now you have evidence that PPI has been mis-sold to you and know how it was mis-sold, it’s time to contact your bank or lender. Some banks allow you to make a claim online, which makes it much easier. If this isn’t possible, you will need to write a letter including all of the relevant information: your full name, PPI policy number and when you bought the product. You must also explain the reason you are claiming and may need to provide some evidence. For example, if PPI was useless to you because you had a pre-existing medical condition when you were sold the insurance, you will need a copy of a doctor’s note or other evidence to prove this. What if Your Bank Has Been Taken Over or Gone Bust? If the bank is no longer in operation, all queries regarding PPI claims need to be sent to the Financial Services Compensation Scheme. 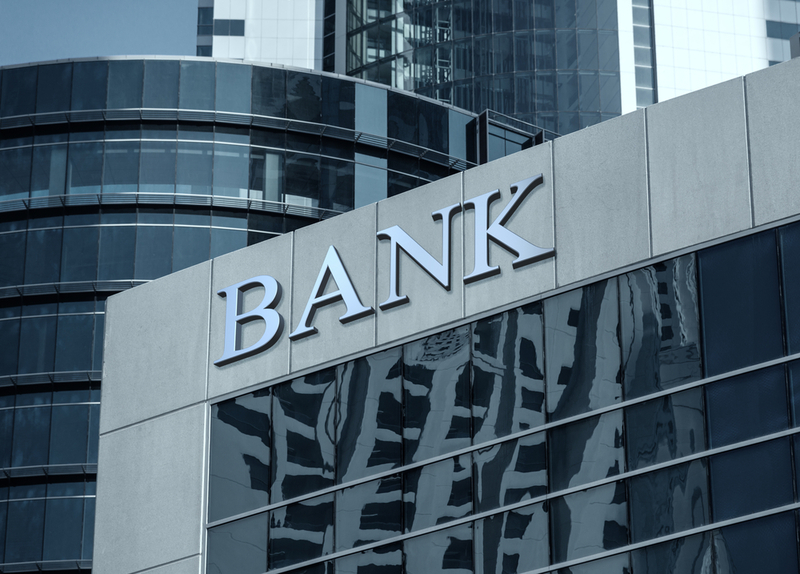 Often, when smaller banks are in financial trouble, larger banks will take over, which extends to taking on any PPI claims. An example of this is Goldfish card, which was bought by Barclaycard in 2008. Barclaycard is now responsible for dealing with all Goldfish card PPI claims. After sending your letter to the bank, you should receive a reply acknowledging that your PPI claim has been received. From the date of this letter, your case should be resolved within eight weeks. However, the process can take longer for older claims. If this is the case, the bank should update you and let you know. If you do not hear a response after eight weeks, we advise following up to see where the bank is with your claim. You claim will either be upheld, meaning you will receive a refund, or rejected. If your claim is successful you may not receive immediate payment, but the bank should offer an indication as to when you will get your money. You will also receive a full breakdown of the refund amount so you know exactly how much you’ll receive and why. If the bank does not uphold your PPI claim, this is not the end of the road for you. If you’re confident you have a strong case, you may consider referring your case to the independent adjudicator, the Financial Ombudsman. The unsatisfactory answer is that every PPI claim can take a different amount of time. While it should be resolved by the bank within two months, it can take longer. Having to find paperwork and evidence of PPI will also lengthen the process. In our experience, a claim can typically take up to six months. The Financial Ombudsman (FOS) will review your case and look at the reason it was rejected by the bank. If it thinks that the bank was wrong not to offer a PPI refund, your claim will be upheld. Seven out of ten cases referred to the FOS are about PPI, meaning there is a huge backlog of claims yet to be reviewed by employees. It’s important to consider that if you do refer your case to the Ombudsman, it can take up to two years to resolve your case. However, this doesn’t mean that you shouldn’t refer your case to the FOS. Thousands of people have had success with the FOS. Between July and December 2017, 37% of PPI cases referred to the FOS were upheld. Can I Trust the FOS? You may have recently seen the Channel 4 Dispatches programme about the Financial Ombudsman. It highlighted a lack of training of many FOS members of staff, resulting in a multitude of claims not being handled correctly. An independent review of the FOS is set to take place to investigate these claims further. Despite these allegations, referring your case to the FOS is the only way that you can have your PPI claim reviewed and the bank’s decision quashed, so it is worth submitting your unsuccessful claim to them if you believe you have a strong case. Have you heard about Plevin? This new rule means that anyone who had PPI — regardless of whether or not it was unknowingly sold — can make a claim. The Plevin ruling is based not on the mis-selling of PPI, but rather the commission banks made on each PPI sale. If your previous PPI claim has been rejected, you can claim again. What’s more, if you knowingly bought Payment Protection Insurance, you could be entitled a refund if the amount of commission was not disclosed to you. The Plevin rule is given its name by a Mrs. Susan Plevin, who made a PPI case against Paragon Personal Finance. During the case, it was revealed that 71% of the PPI policy sold to her was a sales commission. The court ruled that this itself was a form of mis-selling and upheld Mrs. Plevin’s PPI claim. You can claim back compensation if over 50% of your PPI sale was a commission. With many banks making an average of 67% commission on PPI sales, the chance of you making a successful Plevin claim is high. As the Plevin rule is based on a different kind of mis-selling, you are able to try and reclaim PPI even if your previous claim was rejected. However, if you have already made a successful claim, you can’t claim again. Thousands have made successful PPI cases thanks to the Plevin rule. The process of making a Plevin claim is identical to any other — just follow our step-by-step guide above. However, you must make it clear to the bank or lender that this is the type of claim you are making. Now you know how to claim PPI for free, you can start the process to earn back any money you’re owed. If you would like any further guidance about claiming from a specific bank and its involvement in the PPI scandal, refer to our blog post. Many people choose to use a PPI claims company to make a claim on their behalf. But when you can claim PPI yourself for free, why would people choose to use such a service? We explain why choosing a reputable PPI claims company, such as Canary Claims, is a popular choice for many. This is the second claim you have helped us with and we would again like to thank you for providing a hassle-free, efficient & effective service. We are delighted that because of our positive experience and recommendation, other family members have now contacted you to pursue their own. Some people really had no idea that they bought PPI. The product was often added without the buyer’s knowledge or consent, which is why the PPI scandal has proved to be so controversial. This was done to thousands of consumers across the UK. Our experts at Canary Claims can easily find out if you ever had PPI. Even if you don’t have bank statements or information about the account or product, we will be able to uncover this on your behalf. A credit check will not offer information beyond six years, but our thorough checks will identify older accounts that may have been sold with PPI, saving you the hassle of doing it yourself. Many of us lead very busy lives and finding the time to collect evidence and chase up banks or lenders can be difficult. Handing the claim over to a company relieves you of this unnecessary pressure, a pressure which has only increased with the announcement of the upcoming PPI deadline. Our team will deal with all the communication with the bank in a swift manner and we’ll keep you updated every step of the way. If you have more than one claim to make to various banks, this can be even more time-consuming, requiring you to correspond with multiple lenders. If in the event your claim is rejected, you want to refer it to the Financial Ombudsman, this adds an additional step to the process. Many banks, lenders and credit card companies are no longer trading. As we mentioned earlier, some companies have been taken over while others have gone out of business entirely. Companies including Egg, and Bradford and Bingley, for example, no longer exist. If you’ve been mis-sold PPI from a bank or lender no longer in business, you can still make a PPI claim, but knowing who to contact isn’t always clear. We’ve successfully resolved thousands of PPI claims so we know who to contact every time. Making a claim can sometimes feel like chasing different lenders until you find the right one — using a claims management company saves you that stress. As the best PPI claims company, we offer a no win, no fee policy. [Cancellation charges may apply only if the claim is cancelled after the 14 days cooling off period. The fee would be based on the work done at the time of cancelling at a rate of £120 per hour and up to a maximum total of £180]. This means that if your claim is unsuccessful, you don’t pay us a penny. With nothing to lose, there is no harm in trying! Did you know that the average claim results in a £1,700 payout from the bank? This is a substantial amount of money for many people and is another reason to act now. Thousands of people have received significantly more than this. Don’t you want to find out how much you could receive? We understand the negative connotations people have of claims companies — endless cold calls and text messages, as well as scam PPI claims companies trying to get money from vulnerable people gives the industry a bad reputation. If you receive a cold call from a company who say they are Canary Claims, this is not us. We never cold call people or ask for money upfront for any claim. We are aware that there is currently a PPI claims scam being run by individuals pretending to be us. Please do not give away any information over the phone and read our fraud alert. We’re asking you to throw away those connotations because, at Canary Claims, we’re different. But how? We know that when you successfully claim for PPI it’s your money. This is why we only take a small percentage of just 15% + VAT (18% total) of successful claims. This fee pays for the work we do on your behalf to contact various banks, chase them up and uncover any PPI in the first instance. Highly recommend this company for the support they gave in securing thousands of ££££’s of PPI for me. I had tried myself and got turned down but Canary Claims came up trumps! They kept me updated and their commission is the lowest. Don’t go anywhere else. If you can’t do it yourself then this is the company to use! When you’re feeling lazy and can’t be bothered to cook, you’ll order a takeaway. When you don’t have time to clean your house but are having guests over, you might call a professional cleaner. These are both things you could do yourself, but for various reasons, you decide to call an expert to do it for you. How do you find the best local takeaway? You look for one which is reliable, good at what it does and provides great value for money. Using Canary Claims is exactly the same! As a trusted PPI claims company, we really are the best in the business. We will send you a full copy of our terms and conditions so you know exactly what we’ll do for you and what you can expect. Our website also has a frequently asked questions section allowing you to find out more about us, and where we answer common queries relating to a claim. Canary Claims is committed to getting you the money you’re owed. Don’t just take our word for it, read our client testimonials from those who we’ve helped with their PPI claims. Some consumers may face an earlier deadline than 29th August 2019. A number of banks wrote letters to customers who are due a PPI refund. From the date of the letter, consumers have only three years to reclaim their money. It’s important to check any correspondence from the bank as you may be sitting on a hefty sum. If you have missed this date, you can still make a PPI claim under the Plevin ruling. Even if you decide to claim PPI yourself, we encourage you to do it soon. In 2019 we anticipate an influx of new claims, meaning the banks will be extremely busy as the deadline nears. You don’t want to miss out on your opportunity to reclaim PPI. Missing some of your paperwork? Don’t have time to make a claim? Canary Claims offers one of the lowest fees for PPI claims at just 15% + VAT (18% total). Find out if you had PPI today and join thousands of other happy customers.